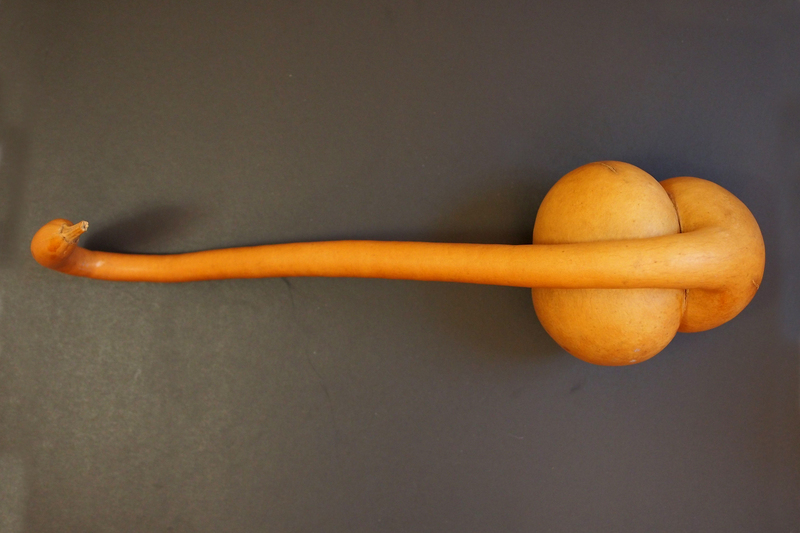 There is small gourd and large gourd. The Chinese has a strong endearment for the gourd, there are many legends and tales about the fruit and here is one of them. In ancient time, some earthlings has angered the Jade Emperor, an order was place for the Thunder God to have the human exterminated, all the land was to be flooded. The Thunder God was worried that his own children would be killed by the flood, he gave his son Fu Hsi a gourd and asked him to plant it on the ground. As soon as the gourd touches the soil, in a couple of hours the roots formed, then sprout came out, followed by branches and gourd fruits. 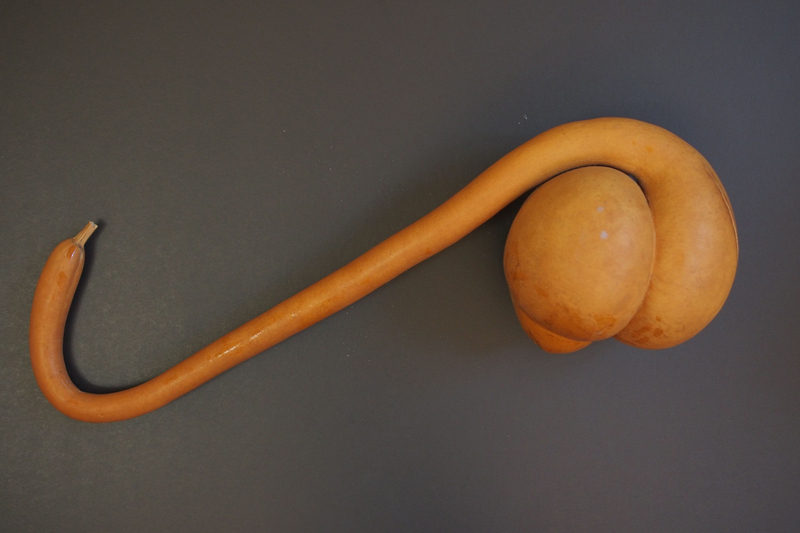 By night, the gourd has a girth the size of a small room. A few more hours later, the fruit was ripened, Fu Hsi and his sister Nu Wa cut a lid into the gourd and put all their garments and food inside. Fu Hsi tried to save the people around him but no one listened, at the end only Nu Wa and himself climbed inside the gourd and closed the lid tightly. Within an hour, the rain has started pouring and it lasted for 9 days and nights. The two stayed there inside the floating gourd until the roaring sound has stopped, Fu Hsi opened the lid and looked outside and there is nothing left but miles of water without edge. 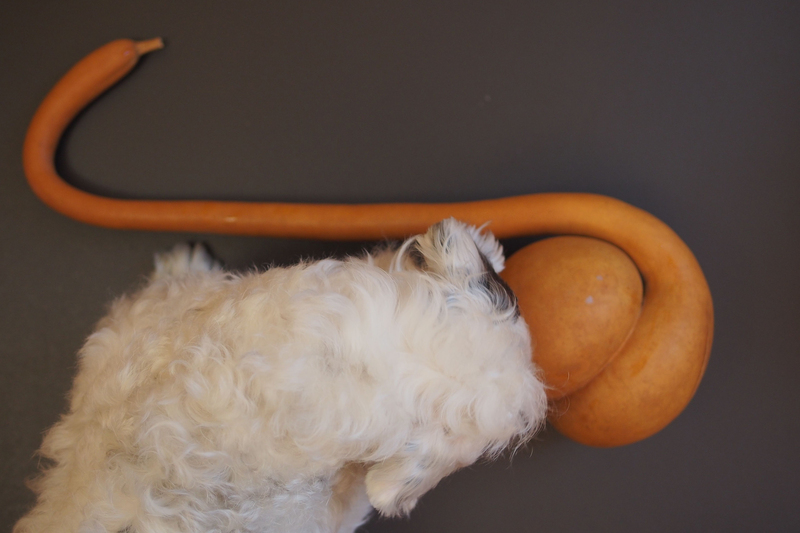 This gourd is not quite as large but still got Spike intrigued. Here are our other gourd items; Gourd Cricket Cage, Gourd Basket.